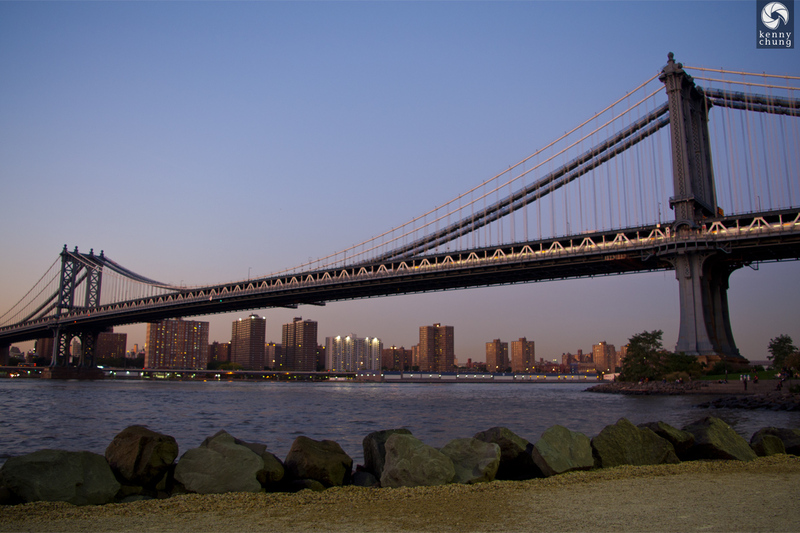 Dumbo (Down Under the Manhattan Bridge Overpass) is one of Brooklyn's most historic neighborhoods. 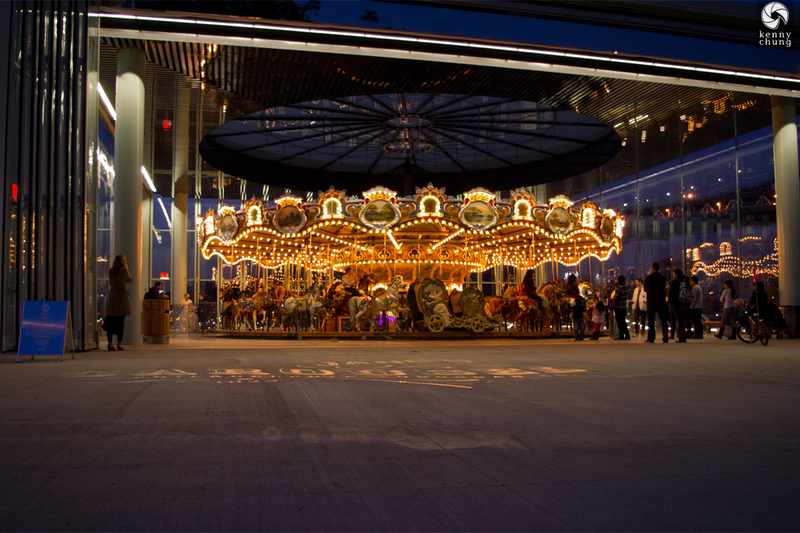 In recent years, the city has taken great steps to convert it into a destination for recreation rather than business. 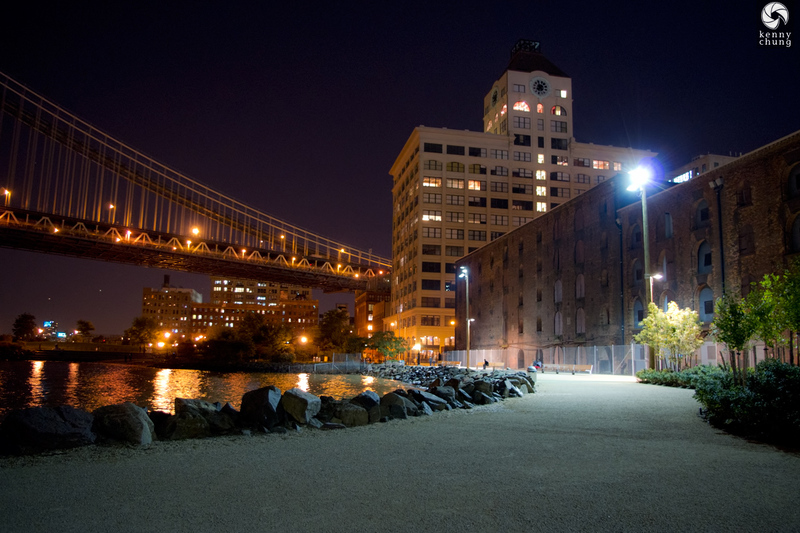 Among one of the most major changes was the opening and continued expansion of the Brooklyn Bridge Park, which will eventually reach the old Port Authority Piers by the Brooklyn Promenade. These photos are from Friday, October 7, 2011. 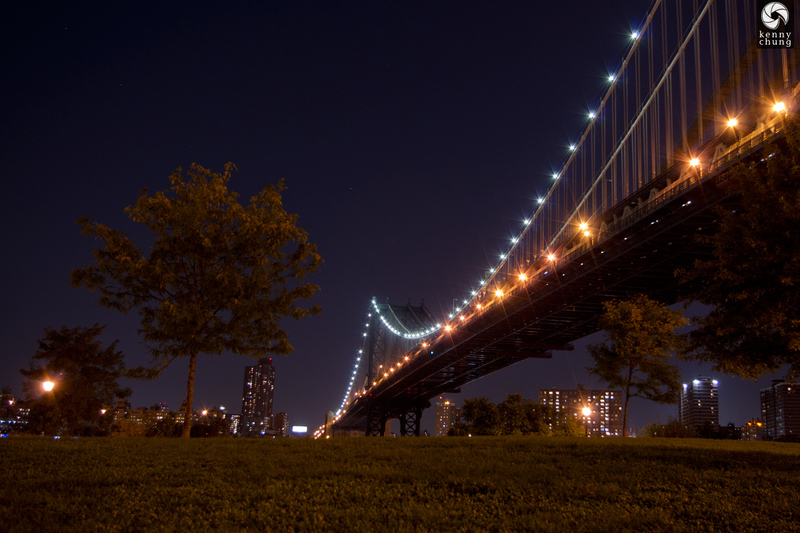 The Manhattan Bridge opposite the sunset as seen from the Brooklyn Bridge Park. 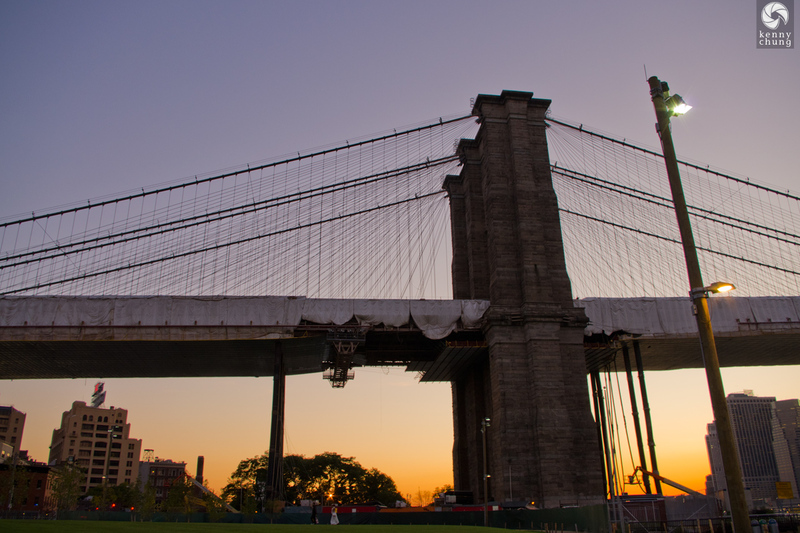 The Brooklyn Bridge at sunset and under perpetual construction. You can see a couple in a tuxedo and wedding dress taking pictures. 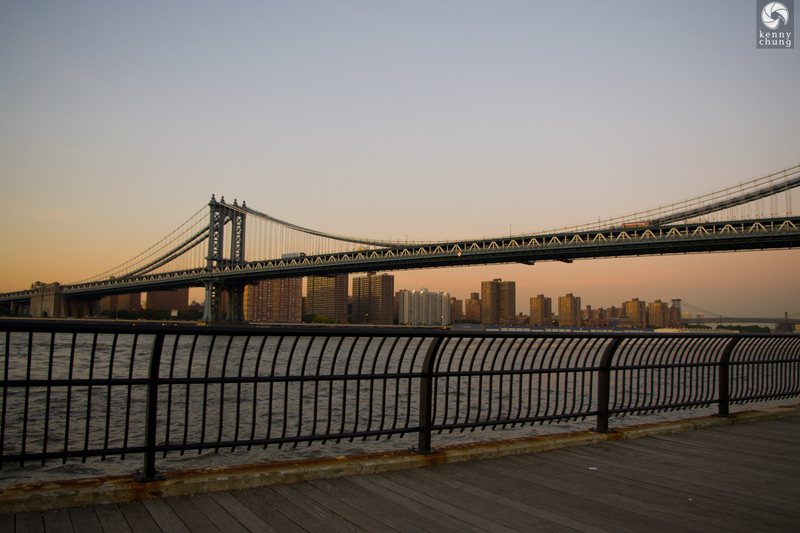 Another view of the Manhattan Bridge and the Brooklyn Bridge Park boardwalk. 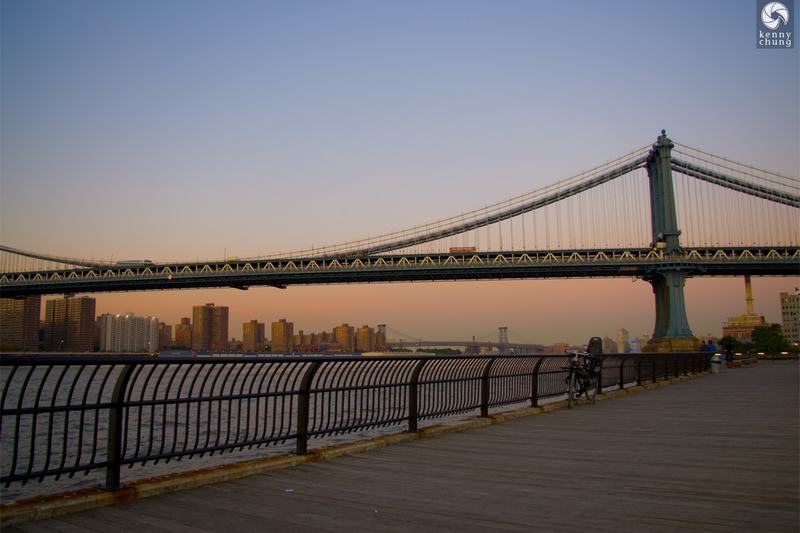 The Manhattan Bridge and Jane's Carousel at sunset. 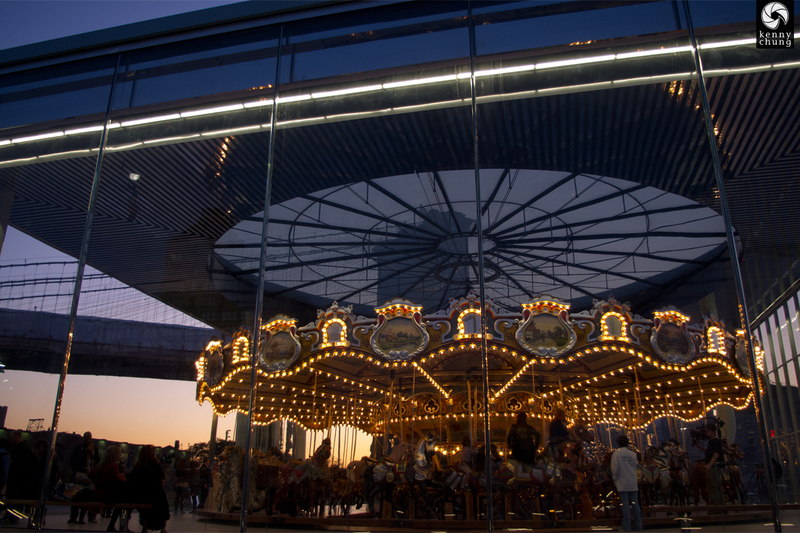 A view of the Brooklyn Bridge through the skylight of Jane's Carousel. 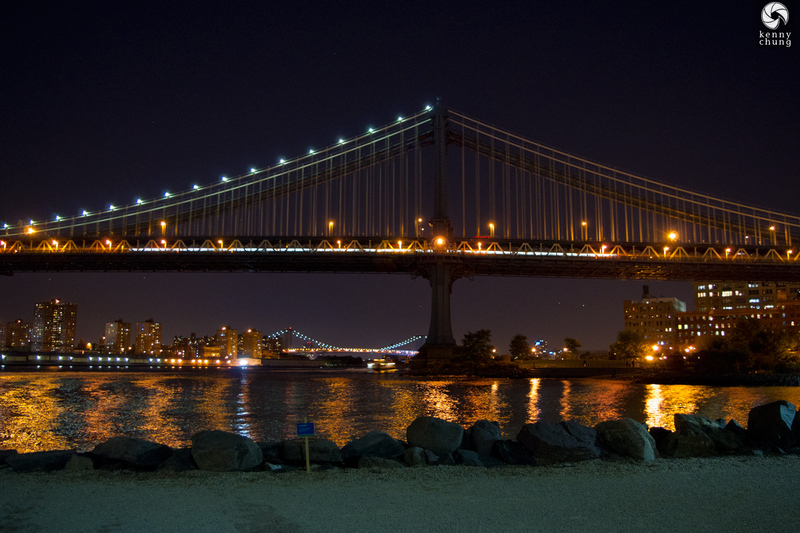 Rocks to break the waves facing the Manhattan Bridge. 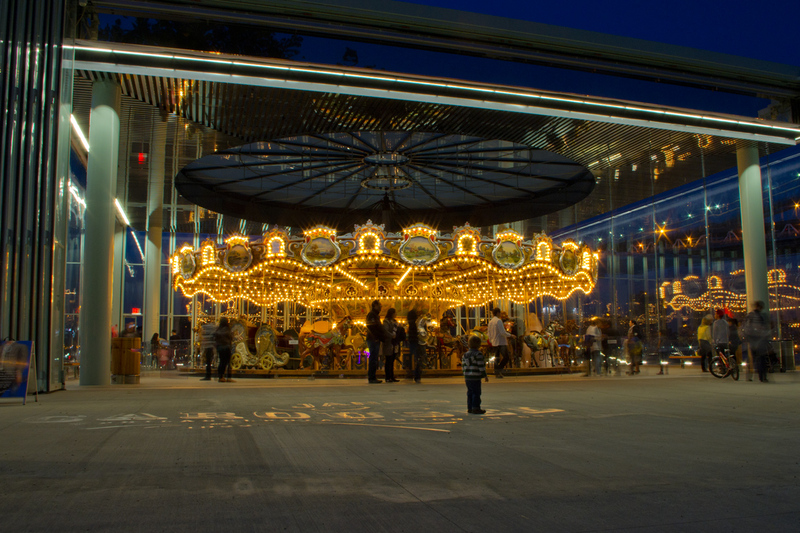 Jane's Carousel preparing for its final rides of the night, since it closes at 7pm. 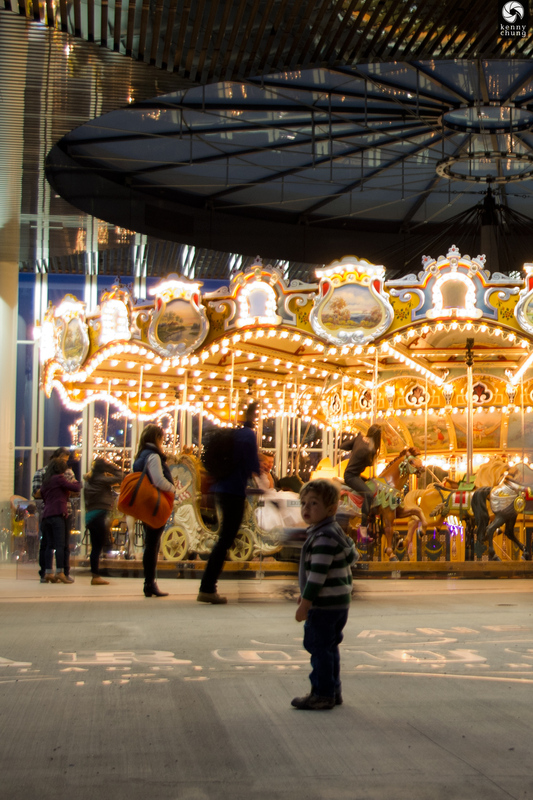 A little boy mesmerized by Jane's Carousel. 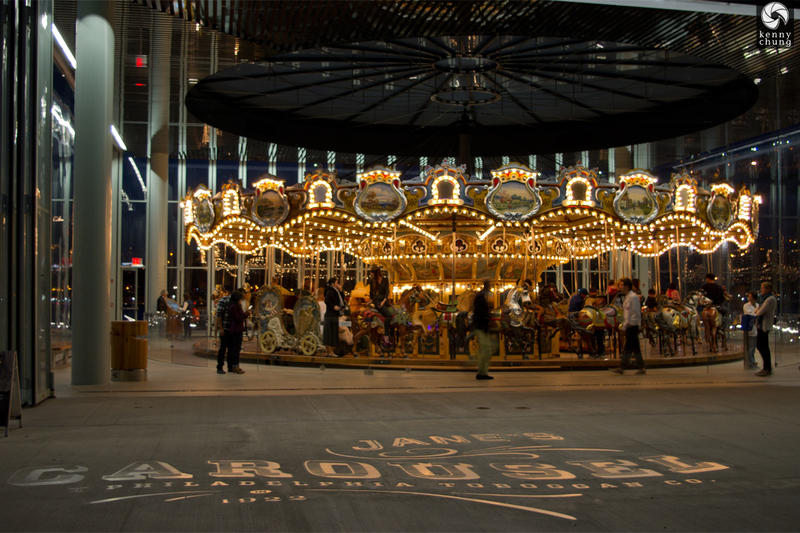 A look at the reflective Jane's Carousel signage embedded into the concrete. 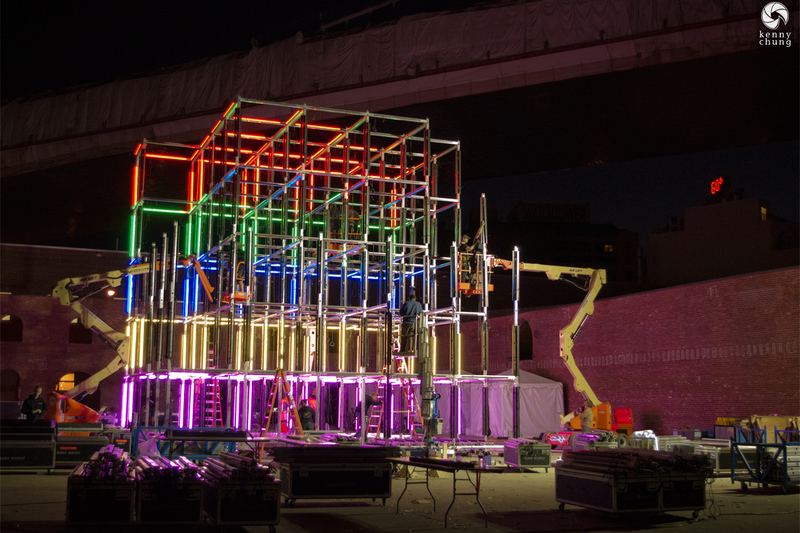 Construction taking place of the Creators Project UVA installation at the Brooklyn Bridge Park. More information here. 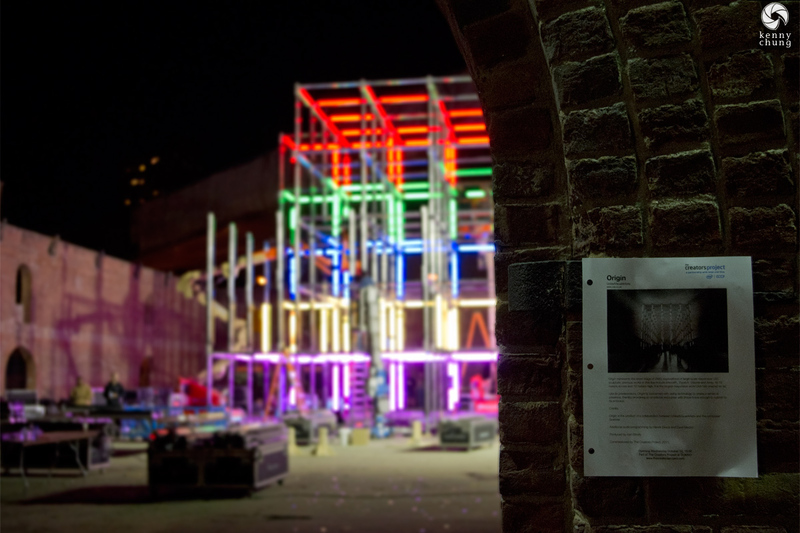 A sign explaining the Creators Project UVA installation in Dumbo. 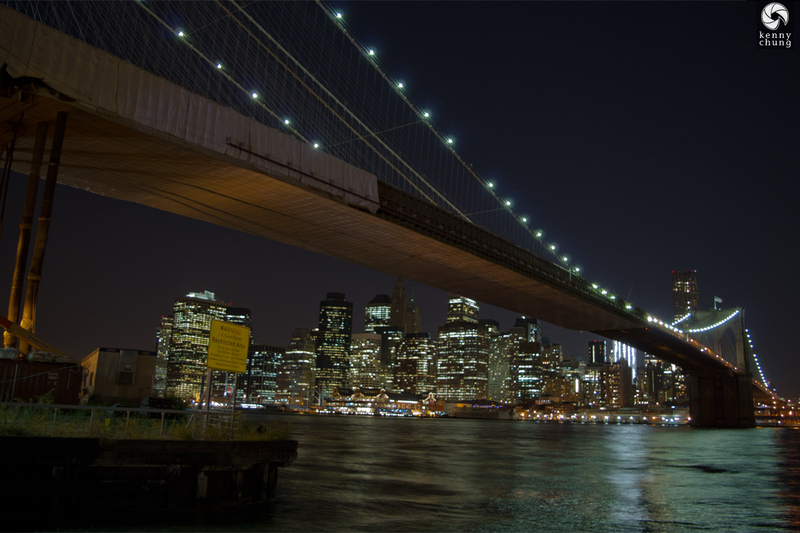 A view of the Brooklyn Bridge from underneath. 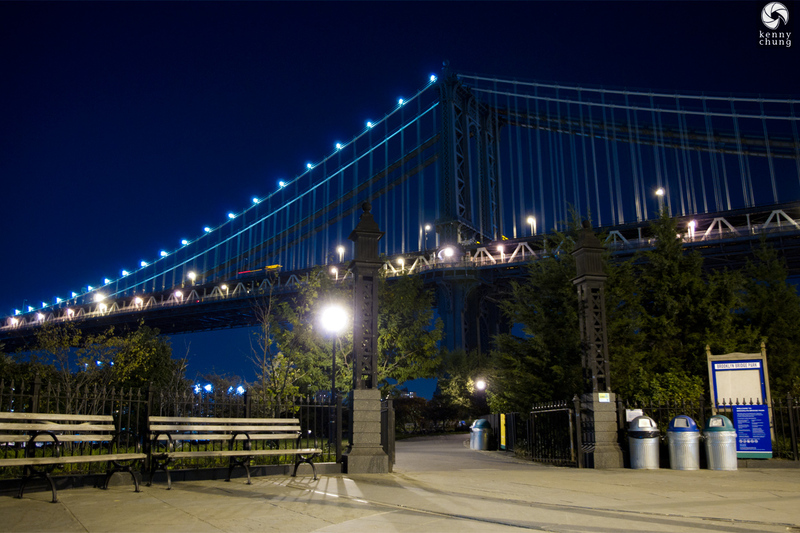 Garbage and recycling cans in front of the Manhattan Bridge. 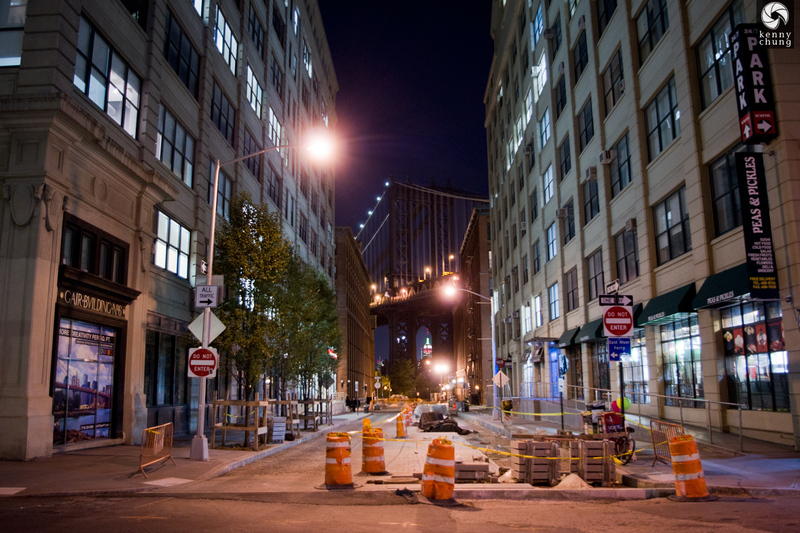 The portion connecting the Brooklyn Bridge Park to the Brooklyn Port Authority Piers is still under construction, hence the "Restricted Area" sign. The Gair Building Clocktower (now at least partially residential) next to the Manhattan Bridge. 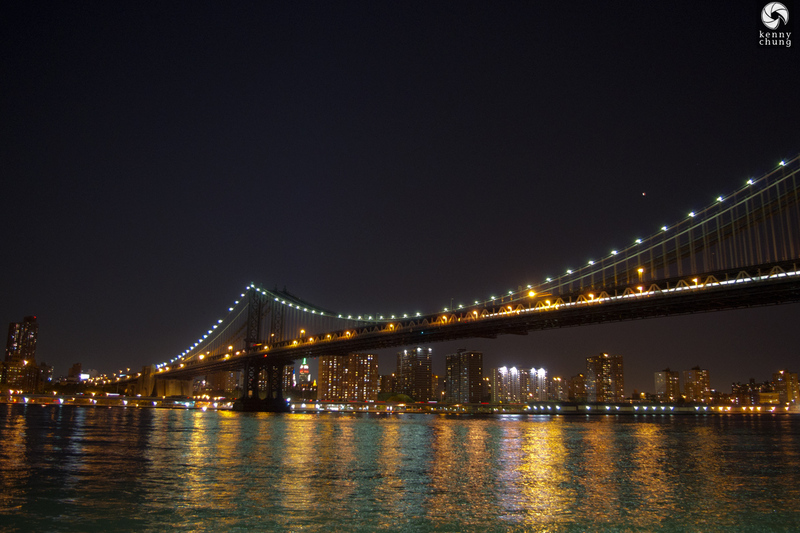 A subway train speeding across the Manhattan Bridge. Some more subway train lights and a red, white and green Empire State Building peeking through. 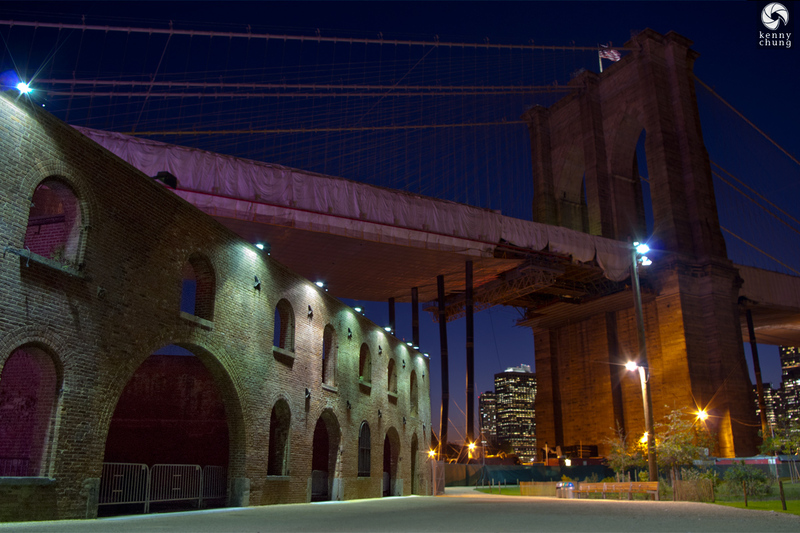 An entrance to the original part of the Brooklyn Bridge Park. 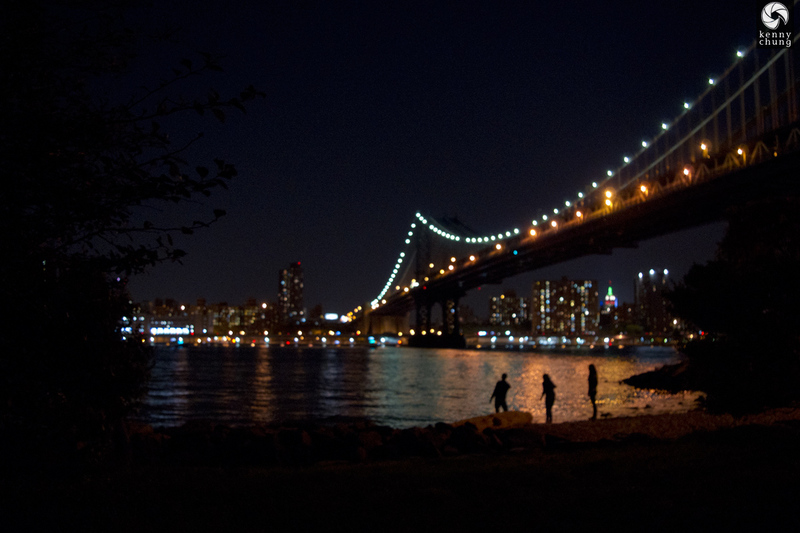 Some young people skipping rocks across the East River at Brooklyn Bridge Park. 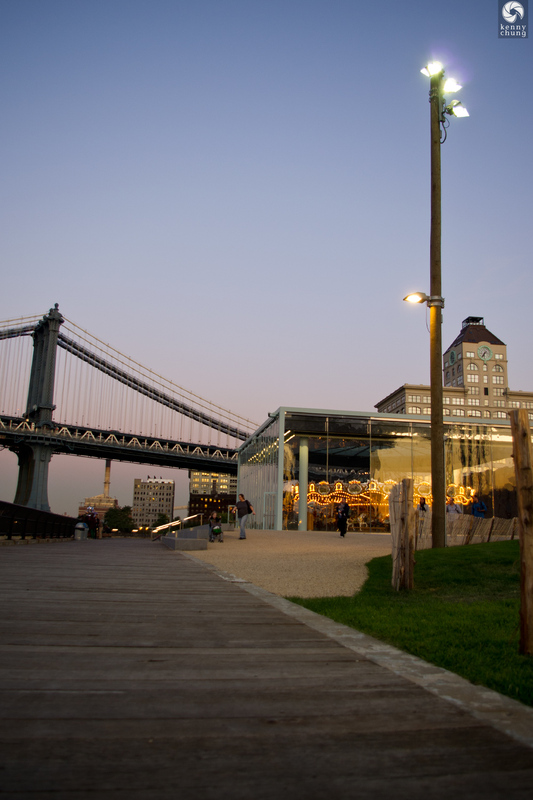 A tree grows in Brooklyn Bridge Park. 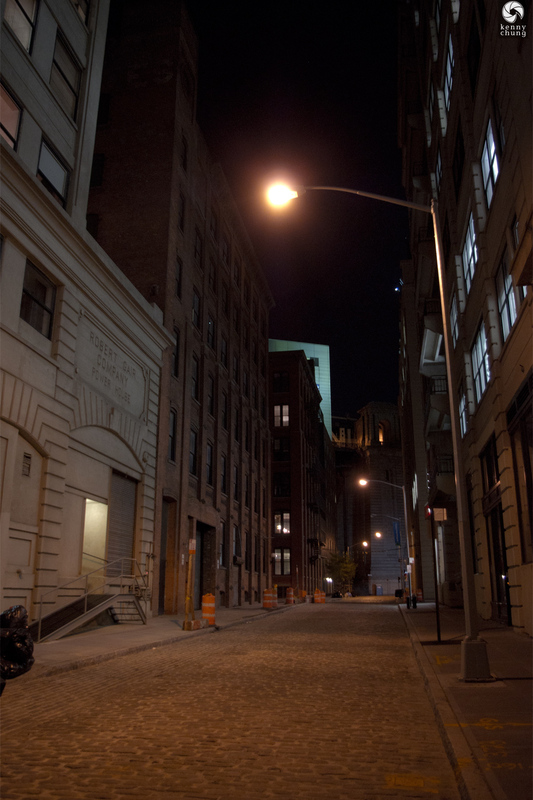 Water Street in Dumbo, Brooklyn. 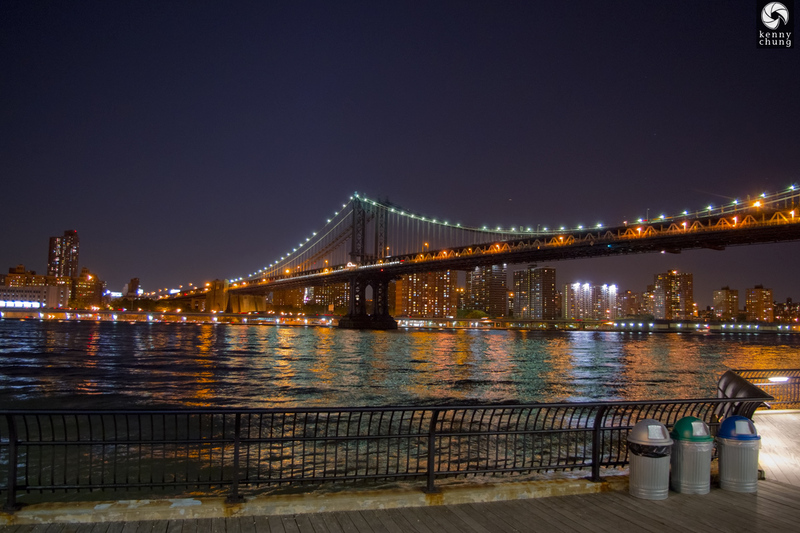 The Manhattan Bridge peeking through the buildings in Dumbo. This was on the intersection of Washington and Front streets. 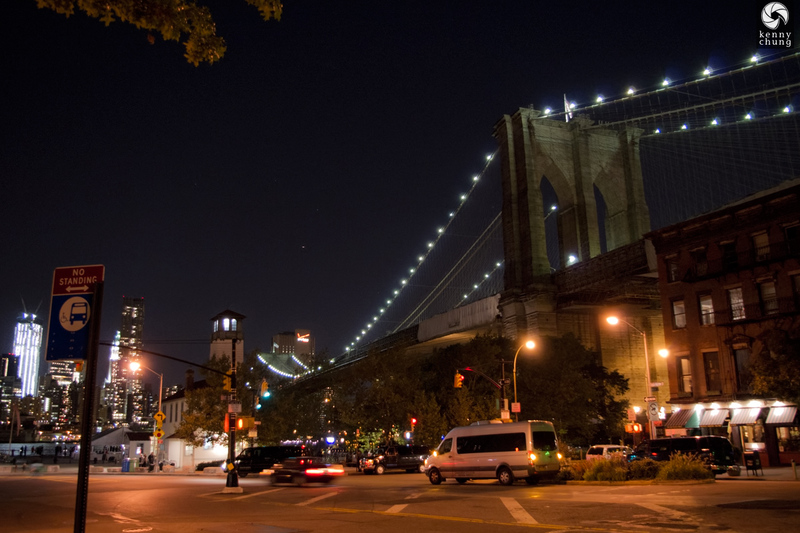 View of the Brooklyn Bridge from Old Fulton St (where Grimaldi's is).